It doesn't hurt to get more education. Now talking about Trump’s personal life, Trump has five children by three marriages and has eight grandchildren. His first two marriages ended in widely publicized divorces. Trump married his first wife, Czech model Ivana Zelnickova, on April 7, 1977, at the Marble Collegiate Church in Manhattan in a ceremony performed by the Reverend Norman Vincent Peale. They had three children: son Donald Jr. (born December 31, 1977), daughter Ivanka (born October 30, 1981), and son Eric January 6, 1984). Ivana became a naturalized United States citizens in 1988. The couple divorced in 1992 following Trump’s affair with actress Marla Maples. In October 1993, Maples gave birth to Trump’s daughter Tiffany, named after Tiffany & Company. Maples and Trump were married two months later on December 20, 1993. They were divorced in 1999, and Tiffany was raised by her mother in California. Trump then married Slovene model “Melania Knauss”, on January 22, 2005, at Bethesda-by-the-Sea Episcopal Church in Palm Beach, Florida, followed by a reception at Trump’s Mar-a-Lago estate. In 2006, Melania acquired United States citizenship and she gave birth to their son Barron on March 20, 2006. Upon Trump’s accession to the presidency, Melania became the First lady of the United States. Prior to his inauguration as president, Trump delegated the management of his real estate business to his two adult sons, Eric and Don Jr. His daughter Ivanka resigned from The Trump Organization and moved to Washington with her husband Jared Kushner. She serves as assistant to the president, while he is a Senior Advisor in the White House. 1 Who is Donald Trump? 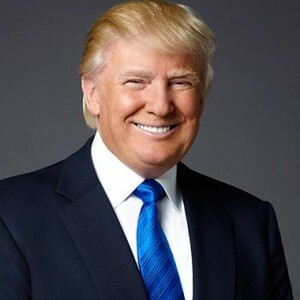 Donald Trump is the 45th and current president of the United States, before entering politics, he was a businessman and television personality. Donald Trump was born with the name Donald John Trump. He was born on June 14, 1946, at the Jamaica Hospital Medical Center, Queens, New York City, to a builder and real estate developer ‘Frederick Trump’ and his wife ‘Mary McLeod’. He was the fourth of five children born to Frederick Christ “Fred” Trump (1905-1999) and Mary Anne Trump (nee Macleod, 1912-2000). His siblings are Maryanne (born 1937), Fred Jr. (1938-1981), Elizabeth (born 1942), and Robert (born 1948). Trump’s elder sister, Maryanne Trump Barry, is an inactive Federal Appeals Court judge on the Third Circuit. Trump grew up in the Jamaica Estates neighborhood of Queens, New York. He attended the “Kew-Forest School” from kindergarten through seventh grade. At age 13, trump’s parents enrolled him in the “New York Military Academy’, after discovering Donald made frequent trips to Manhattan without permission. In August 1964, Trump entered “Fordham University”. He transferred to the ‘Wharton School’ of the “University of Pennsylvania” two years later, because it offered one of the few real estate studies departments in the United States academia at the time. In addition to his father, Trump was inspired by Manhattan developer William Zeckendorf, vowing to be “even bigger and better”. While at Wharton, he worked at the family business, ‘Elizabeth Trump, and Son’, and graduated in May 1968 with a “Bachelor’s degree in economics from Wharton. Trump was not drafted during the Vietnam War. While in college from 1964 to 1968, he obtained four student deferments. In 1966, he was deemed fit to service upon a military medical examination, and in 1968 was briefly classified as fit by a local draft board, but was given a 1-Y medical deferment in October 1968. Trump has attributed his medical deferment to heel spurs. In 1969, he received a high number in the draft lottery, which made him unlikely to be called. Donald Trump began his career as a businessman as he joined his father’s company, ‘Elizabeth Trump and Son’, while still in college. The company focused on middle-class rental housing in Brooklyn, Queens, and Staten Island. He became deeply involved in the project and with a $500,000 investment, turned the 1200 unit apartment complex in Cincinnati with a 66 percent vacancy rate to 100 percent occupancy within two years. In 1971, Trump moved to Studio apartment in Manhattan, New York and became involved with larger building projects. In the following year, he finalized the first multi-million dollar real estate transaction with the sale of Swifton village in Cincinnati, Ohio. In 1985, he bought Mar-a-Lago estate in Palm Beach, Florida and renovated the Barbizon hotel and 100 Central parks South. IN 1988, trump bought the Plaza Hotel in New York City. In 1989, he bought a fleet of Boeing 727 airplanes to form Trump air shuttle service. Unfortunately, a helicopter crash took place killing three Trump casino executives which lead to the big issue. By 1989, poor business decisions left him unable to meet loan payments but he somehow financed the construction of his third casino, the $1 million Taj Mahal, with high-interest junk bonds. The increasing debt soon brought him to business bankruptcy. In 1990, he regained his previous stable financial position and fame and opened the Trump Taj Mahal Casino in Atlantic City. Soon he gained approval for Riverside south development of West Side rail yards. In 1996, Trump got the ownership of Miss Organization which produces the Miss Universe, Miss USA, and Miss Teen USA Pageants. In 2003, he took a joint partnership with the National Broadcasting Company (NBC) where he became the executive producer and host of the NBC reality show, ‘The Apprentice’ which became a huge success. Following its success, he co-produced a show, ‘The Celebrity Apprentice’ along with British TV producer Mark Burnett. On October 21, 2004, Trump Hotels and Casino & Resorts declared a restructuring of its debt which led to a reduction and soon the company re-emerged from 56 percent to 27 percent. The Company applied for Chapter 11 Protection in November and soon the Company re-emerged from bankruptcy as ‘Trump Entertainment Resorts Holdings’. He marked the Trump name on a large number of products, including ‘Trump Financial’, ‘Trump Sales and Leasing’, ‘Trump Entrepreneur initiative’, ‘Trump Restaurants’, ‘Go TRUMP’, ‘Donald J. Trump signature collection’, etc. Moreover, he also received $ 1.5 million for every one-hour presentation he did for ‘The Learning Annex’. He also has a business simulation game called ‘Donald trump’s Real Estate Tycoon’. Now moving towards Trump’s Career, in the 2000 elections, he expressed his wish to run as a third-party candidate for the US presidency. In 2004, he speculated about running for president in the Republican Party and in between in 2006, he considered running for governor of New York as a representative of the party. He again registered as a Republican in 2009 after having registered with the Democratic Party in 2001 and campaigned for it.In 2010-2012, Trump’s involvement in politics intensified when he publicly announced his consideration of candidature for the presidency again. However, his association with the ‘Birther issue’, a group that firmly believed Barack Obama was not born in the US, disparaged his political reputation. But he continued to be against Obama on various political issues. In January 2013, he endorsed Israeli Minister Benjamin Netanyahu during the Israeli elections. He was also featured speaker at the 2013 Conservative Political Action Conference (CPAC). Now to his Presidential Campaign, 2016, Trump announced his candidacy for president as a Republican in June 2015. As a flamboyant personality with a successful business career and media presence, he quickly emerged as the front-runner for his party’s nomination and was formally nominated for president at the 2016 Republican National Convention. Trump campaigning focused on domestic issues such as illegal immigration, crime, Islamic terrorism, offshoring of American jobs, and the U.S. national debt, and his campaign slogan, “Make America Great Again” resonated with the American citizens. While many of his campaigning tactics received criticism, they also ensured that he got unprecedented media coverage. He was accused of lying and embellishing facts during his election speeches and received a lot of negative backlash with major publications like ‘Politico’, ‘The Washington Post’, “The New York Times’, and the ‘Los Angeles Times’ terming his statements as downright falsehoods. As a presidential nominee, he adopted a populist stance and supported a broad interpretation of the Second Amendment. His ‘tax plan calling’ for reducing the corporate tax rate to 15% and replacing the Affordable Care Act (“Obamacare”) with a different free-market plan earned him support from several quarters. Despite his detractors and all the negative publicity surrounding him, he managed to emerge victorious in the general election on November 8, 2016, in which he defeated Hillary Clinton to become the President of the United States. Donald Trump assumed office as the 45th President of the United States of America on January 20, 2017. Some of Donald Trump’s Major works- In 1974, he obtained the opinion to buy two rail yards in New York City and after few years with the help of 40-year tax abatement from the government, he bought and turned the bankrupt Commodore Hotel into the Grand Hyatt and also created the ‘Trump Organization’. In 1980, Trump undertook the project of constructing the Wollman Rink in Central Park and completed it in six months using $750,000 of the remaining $3 million budget. In the same year, he renovated the Trump Tower in New York City and Atlantic City casino business which led to huge debt.In 2001, he completed the Trump Tower world tower, which was a 72-storey residential tower across the UN headquarters. He also began construction on Trump plaza along the Hudson River. In 2006, Trump bought the Menie estate in Balmadiem, Aberdeen-shire, Scotland to create the best golf courses in the world on the site of special scientific interest (SSS) but it was met with criticism from environmentalists and by local landowners. But the battle became more difficult this year when the Scottish government approved the construction of a wind farm nearby. Trump has also hosted many wrestle mania events in trump Plaza and has an active participant in several of the shows. On June 15, 2009, Trump bought the WWE RAW show from WWE owner Vince McMohan. Trump wrote many books which became famous worldwide for their entrepreneurial guidance. It includes, ‘Trump: The Art of the Deal’, ‘Think big: Make it happen in Business and life’, ‘Think Like a Champion: An Informal Education in Business and Life’, ‘Trump 101: The Way to Success’, ‘Trump: How to Get Rich’, ‘Trump: Surviving at the Top’, and many more. Now some of Trump’s Awards and Achievements- In 2005, he again got nominated for Primetime Emmy for ‘The Apprentice’ under the aforesaid category. In 2007, Trump earned the Star on Walk of Fame for his contribution to Television. In 2013, Trump was inducted into the celebrity wing of the WWE hall of fame of fame at Madison Square Garden due to his contribution to the promotion of several WWE shows. Donald Trump estimated net Worth is around $ 3.5 billion. Trump’s campaign was fraught with controversies. There were several accusations of sexual misconduct against him and he was criticized by the media for using vulgar and sexist language. A 2005 recording of him bragging about how he forcibly kissed and groped women caused a major dent in his popularity. He soon issued a public apology in a bid to salvage his reputation. There is also the recent Trump/Russia controversy. The controversy over Russian interference in the 2016 presidential elections, suspicions of the Trump campaign’s involvement in that interference, and concerns about illegitimate and illegal “deep state” attacks on the Trump administration has become so complicated and saturated with twists and turns as to be almost impossible to follow. Herewith is a modest effort to provide context, assess where we are and offer a few tentative conclusions. There has been many rumors and controversies over Trump. Donald Trump has the height of 6 feet 2 inches and he is definitely among the tallest presidents of the United States of America, which includes president like Abraham Lincoln (6’4), Bill Clinton (6’2) and Barack Obama (6’1) are in pretty good company, based on Trump’s height. Trump’s weight is 90 kg (198 pounds) and shoe size of 12 (US). Trumps chest size is 44 inches and waist size is 36 inches and arms/ biceps size is 13 inches. Donald Trump keeps sharing his thoughts and views on his social media account. He is active on Facebook, Twitter, and Instagram. He has more than 23 million followers on Facebook, more than 36.5 million followers on Twitter and more than 7.3million followers on the Instagram account. Joy Behar is at it again! She calls Donald Trump a psycho! Michelle Wolf and her befitting one-liner to Donald Trump’s tweet!